At CCTV Camera World we believe in offering products that we would use ourselves on a daily basis, and this camera is a fine example of that. As of September 2016 this Long Range Infrared Security Camera with Night Vision was upgraded to a 2MP CMOS image sensor with capability to output video in three different signal formats, i.e. Analog (aka CVBS), HD-CVI, AHD, and TVI. So not only can you use it with your older analog security DVR, you can also use it with any of the new high definition DVRs utilizing the aforementioned HD over coax signals. 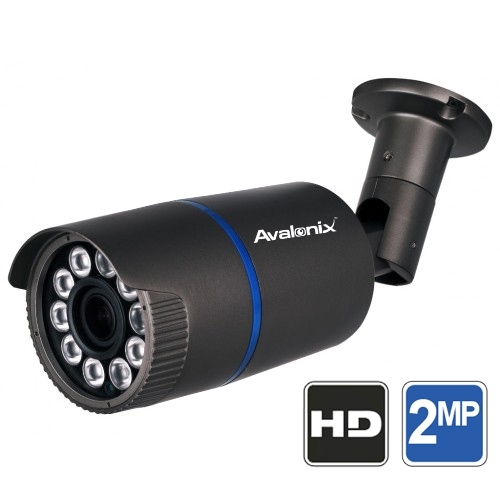 Effectively this is a 4-in-1 Outdoor Security Camera that outputs in analog resolution (D1 and 960H) or HD resolution. When compared to analog cameras with 1000TVL sensors, the image produced by this camera is clearer thanks to it 2MP image sensor. Too many times have we had customers call and ask for a camera with which they can capture facial detail more than the 10 feet possible with a fixed lens or 2.8-12mm lens camera. Zoom security cameras have either been expensive or been useless since manufacturers cheap out and put a fixed lens that can't be adjusted. We've answered that customer cry with this Super Long Range Infrared Security Camera, that packs a 5-50mm lens that translates to a 10X optical zoom lens. The 5-50mm varifocal lens can be adjusted using the screw adjustments below the belly of the camera. Being able to set the exact viewing angle makes this camera a favorite professional users. We thoroughly tested this camera in the field and so have our customers, and it has proven to be reliable in producing video where you can see good facial detail up to 110ft away in day or night. Of course you can see general detail farther in both day and night, and how far you can see all depends on how you set the varifocal lens. The super long range cctv camera also has 10 super high intensity infrared LEDs that provide night vision up to 300ft away to the camera's high resolution 2 megapixel image sensor. Our customers always come back to purchase more of these. This 4 in 1 camera provides exceptional video clarity when compared with analog camera even when used in Analog mode. The High Definition 2MP Sensor captures HD video which is higher in detail even when down converted to analog 960H. 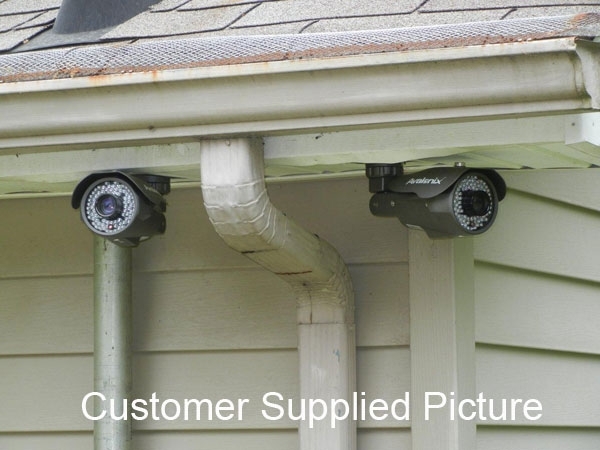 This outdoor security camera also has the digital day/night feature that allows the camera to switch to black & white in low light conditions or when the infrared LEDs turn on. Not only does this outdoor camera have tons of infrared, it also has a very important feature called SMART IR built-in to the image sensor's programming to compensate for IR glare commonly found in cheap imitation cameras. This feature is always on to make sure you get the best possible night time video all the time. We don't recommend it for close range viewing or monitoring. This camera is made to look out on large parcels of property, down alleyways, or it can even be used as a license plate capture camera for capturing vehicles moving less than 25 mph. Although it is not a traditional license plate camera that offers shutter rate control, we've tested it and confirm that it can certainly be used as one as long as the following conditions are meant: a) there is ambient light to keep infrared lights from turning on, b) there is no more than a 15 degree angle between the camera and the plate, and c) the vehicle is moving at 25mph or less. The long zoom lens makes it a great camera to capture plates up to 110ft away. In its arsenal of digital imaging functions, it also has Digital Noise Reduction (DNR) that aids in reducing picture noise that is commonly found in low light conditions. How exactly does one adjust the focus on the camera? I can see a cylindrical depression but it seems perfectly round. What kind of tool is used to adjust it? (the camera is 50' above ground, and I am trying to see if I can manage to do it from the house. There are allen key adjustments on the bottom of the camera that allow manipulation of the manual zoom lens. You can adjust zoom and focus from these screw type adjustments. In your description, you say "We don't recommend it (SKU: 9884VFG550) for close range viewing or monitoring." My need is for a camera that will read plates and facial features at 30 to 50 feet. Would this camera work or do you recommend a different camera for that application? I am using an older DVR with BNC connections. This camera and others with 300ft of infrared night vision are not meant for close range viewing because the infrared is very strong and will cause IR glare. If you are looking to capture a license plate, you will need to use the following analog license plate camera which will allow you to view license plates only. 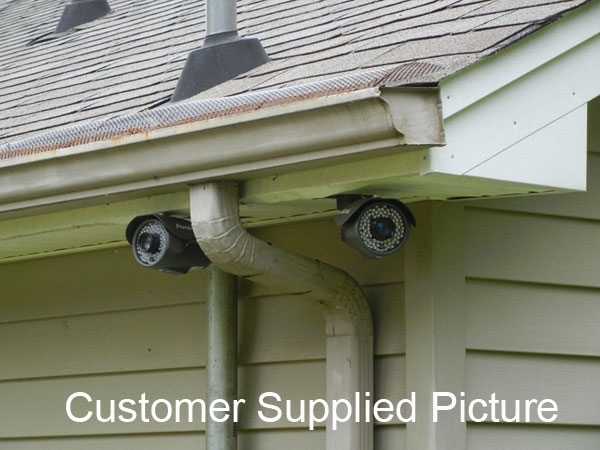 If you would like to see faces, you will need to use a separate camera like this dome camera as one camera cannot capture license plates and faces reliably. More importantly, you cannot use a camera to see occupants inside the vehicle due to lighting variations. I am interested in the SKU: 9884VF550G camera but is $279.95 the cost of a set of four cameras or one? As noted under the What's Included section, the listing is for one camera, which is available in either white or gray color. I need to watch the road about 350 feet away from the house to see if my neighbor is plowing snow across the street and dumping it my front yard, day or night. I do not need to see a lot of detail. I can mount the camera inside or outside. I can provide power and run cable. I would like to view and review the images on my desktop PC. With the Super Long Range Infrared Security Camera that you posted question for, you will need a DVR to be able to record video. You can choose one of our 4 channel DVR that are affordable. This camera can certainly see up to 350ft away in general detail in day or night. 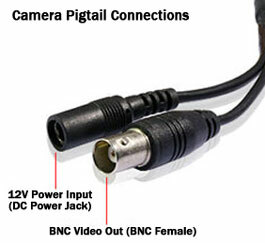 In addition to the camera and DVR, you will need a 12V DC 1amp power supply and camera cable. The DVR would connect to a TV and works like a computer with a mouse. If you would like to record straight to your computer, then you can use the following Long range IP camera and record straight to your computer with the included free software or a 3rd party software.